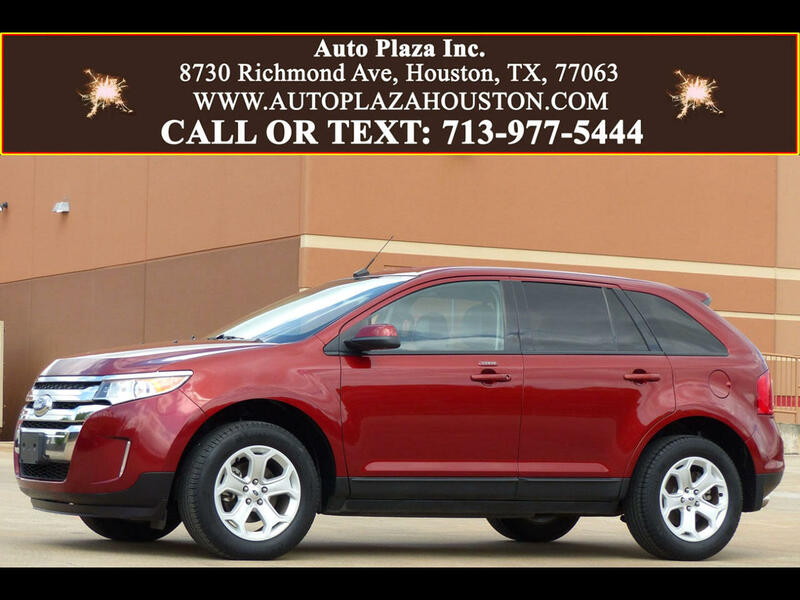 Used 2014 Ford Edge SEL FWD for Sale in HOUSTON TX 77063 Auto Plaza, Inc.
Auto Plaza Proudly Presents this Low Mileage ONE OWNER 2014 Ford Edge SEL with 6-Speed Automatic Select Shift Transmission!!! Like any Well Thought Out Crossover, this Edge has Navigation, My Ford Touch, Leather Comfort Package, Rear View Camera, Power Liftgate, Trailer Tow Receiver, Premium Audio, XM Radio and Traffic, Bluetooth for Phone and Streaming Audio, Steering Wheel with Audio and Cruise Controls, LED Turn Signal Mirror Indicators, Climate Control, Keyless Entry Keypad, Tire Pressure Monitor, Power Locks, Power Windows, Rear Defroster, and More! The Ford Edge Serves Many Purposes and with all it has to offer is sure to have a Little Something for Everyone; Whether you have a Family and need a Comfortable, Roomy Interior, or an Individual wanting a vehicle that offers a Fun Drive - This Ford Edge is the one for you! So, What Are You Waiting For? Call Now!!! This SUV is a STEAL!!! We Look Forward To Hearing From You. Financing Available!